Rabbi Aryeh Kaplan’s Living Torah is the most readable, accessible and authentically Jewish English translation of the Five Books of Moses. While hundreds of translations exist, most of these try to translate one word or phrase at a time. Translating verbatim in this way can make it hard to understand what’s going on in the text. 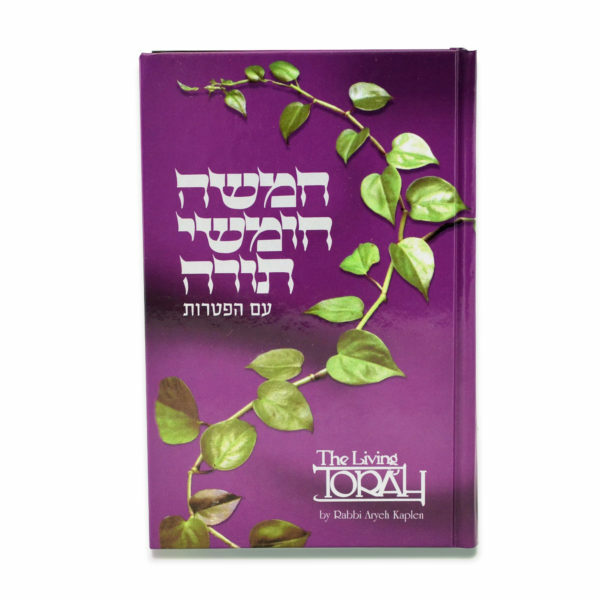 Rabbi Kaplan has succeeded in translating the Hebrew verses accurately while keeping the text readable and understandable in modern American English. Generations of Bible commentators have sought to present the Torah as a document written by desert nomads with no mention of its Divine origin. Some have theorized that the Torah was actually written much later by several different anonymous authors. In his Living Torah, Rabbi Kaplan adheres to the authentic Jewish narrative that the Torah is a text dictated to Moses by G-d at Mount Sinai. Otherwise known as the Pentateuch, The Five Books of Moses are the first five of the twenty-four books of the Old Testament, known in Hebrew as The Torah or Tanach. These five books are the ones originally given to Moses at Mount Sinai. Many people picture Moses coming down from the mountain carrying the stone tablets with the Ten Commandments after spending forty days and nights on the mountain. What most people don’t know is that G-d also dictated to Moses the text of the entire Five Books. 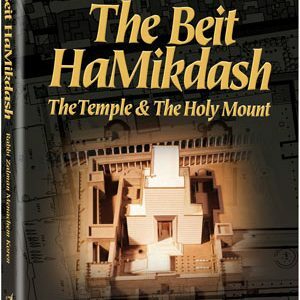 The rest of the books of the Torah were written much later by the Hebrew Prophets as prophecy.. The first of the Five Books, Genesis, relates the early history of mankind and the Jewish People. This history begins with the Creation of the world, the formation of Adam and Eve, the Great Flood, Lot and Sodom. The story continues with the story of the Patriarchs Abraham, Isaac and Jacob. The book of Genesis goes on to relate the birth of Jacob’s twelve sons, known as the Twelve Tribes of Israel. The book concludes with the sale of Joseph, the Tribes coming down to Egypt and the beginning of Jewish slavery in Egypt. The second of the Five Books, Exodus, concerns itself with the Jewish slavery experience, Pharaoh, and the Exodus or freedom of the Jewish People. Other events described in Exodus are the giving of the law at Mount Sinai, the miraculous Manna the Jews ate during their 40 years of wandering and the construction of the Tabernacle, or mini temple, the Jews carried with them in the wilderness. The third book, Leviticus, concerns itself primarily with laws the priests and Levites practiced in the Tabernacle. The fourth book, numbers, tells the story of the Jews’ wanderings and ultimate entrance into the Promised Land. The fifth book, Deuteronomy, is mostly Moses’ retelling of everything that occurred until that point and giving a pep talk to the Jews about the importance of following the rules given to them by G-d. 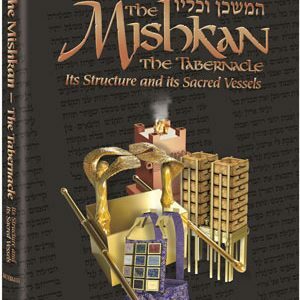 Throughout these books, reference is made to various events, places, personalities, laws of ethical behavior, various materials and gems used in the construction of the Tabernacle, various Kosher animals and many other details. Rabbi Kaplan’s notes explain the background and deeper meaning of the events and laws while sharing his research into the modern names of the materials, animals and plants mentioned. Rabbi Kaplan includes numerous maps, diagrams and charts. He has compiled an informative list of important Bible commentators, both Jewish and not. The back of the book contains a detailed index to every word and idea mentioned in both the main text and the notes. For Jews, the Torah is not just a book that sits on the shelf. Portions of the Torah are read, out loud, in the Synagogue three times a week from scrolls written by hand, identical to Moses’ original scroll. The verses of the Torah are also the basis for many laws derived by the Sages of the Talmud over the course of a thousand years. 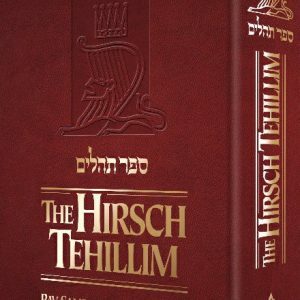 At 1,400 pages, The Living Torah can keep you busy for a lifetime as a valuable reference or a source of inspiration for the occasional browser. 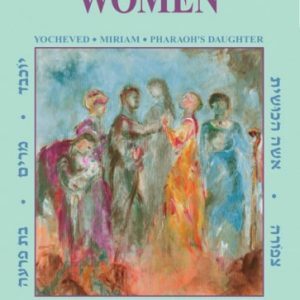 Rabbi Kaplan’s translation is a great place to start.